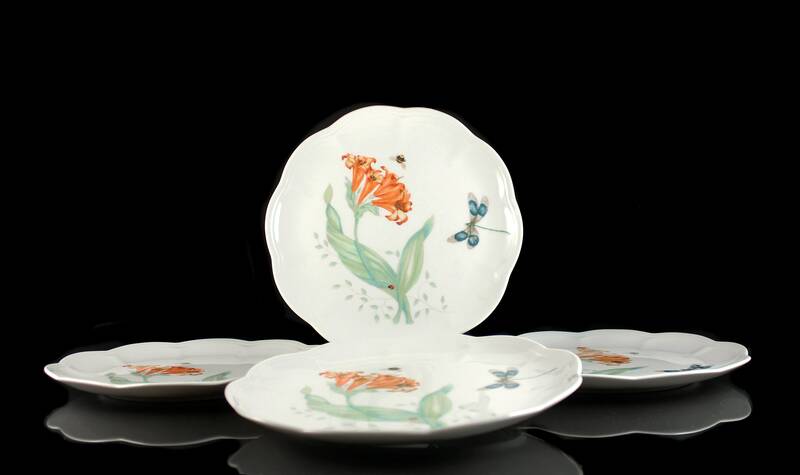 A lovely set of four luncheon plates by Lenox. 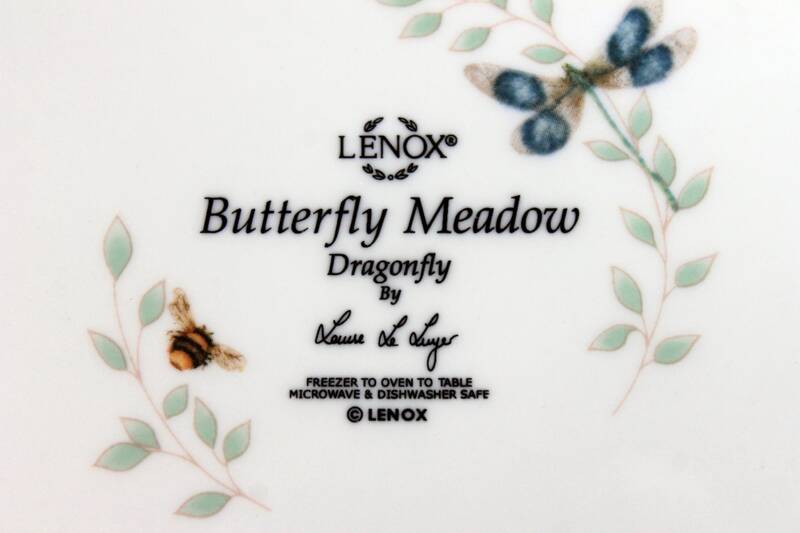 As lovely and serene as its name, Lenox Butterfly Meadow is a charming multi-motif tableware pattern that showcases a fun variety of flowers and flying insects. 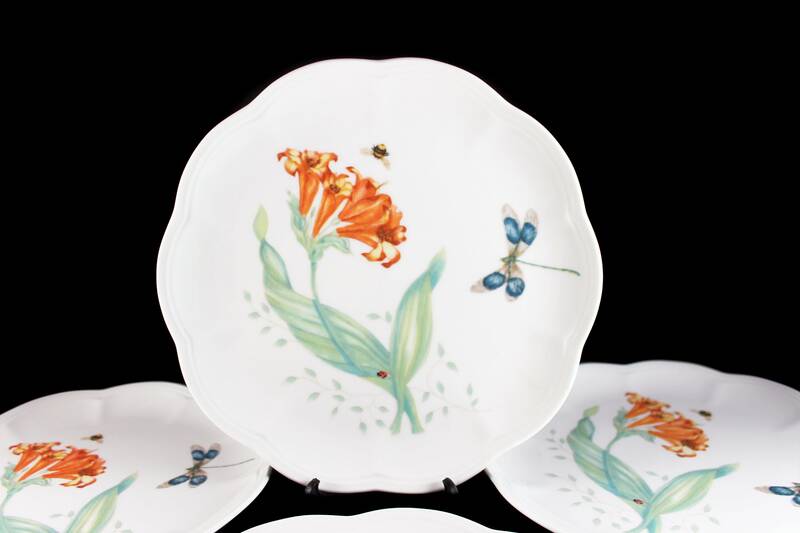 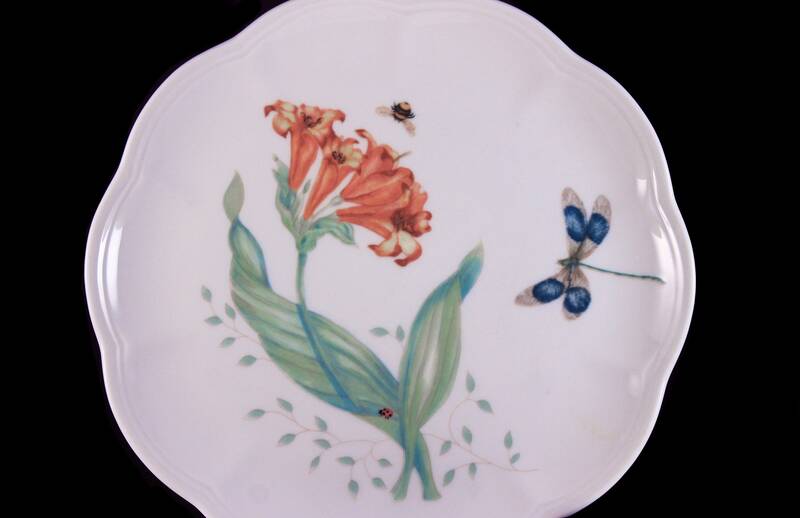 The plates have the Butterfly Meadow Dragonfly design that includes orange flowers, dragonfly, ladybug and a bee. 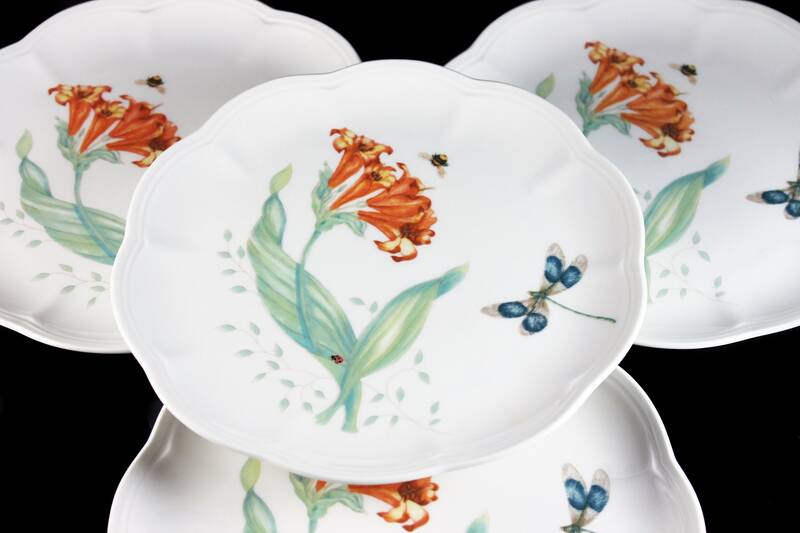 These are made of chip-resistant Lenox white porcelain and is freezer-to-oven-to-table, microwave and dishwasher safe. 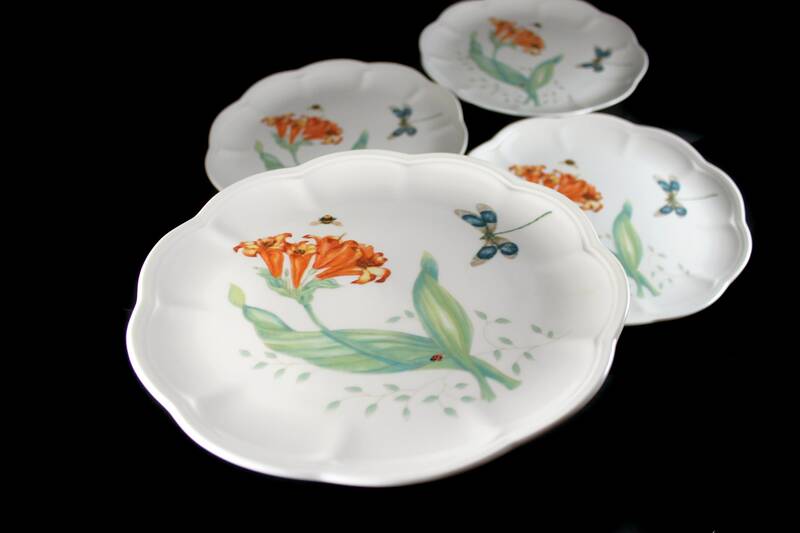 They would look wonderful on a table, buffet, or sideboard. 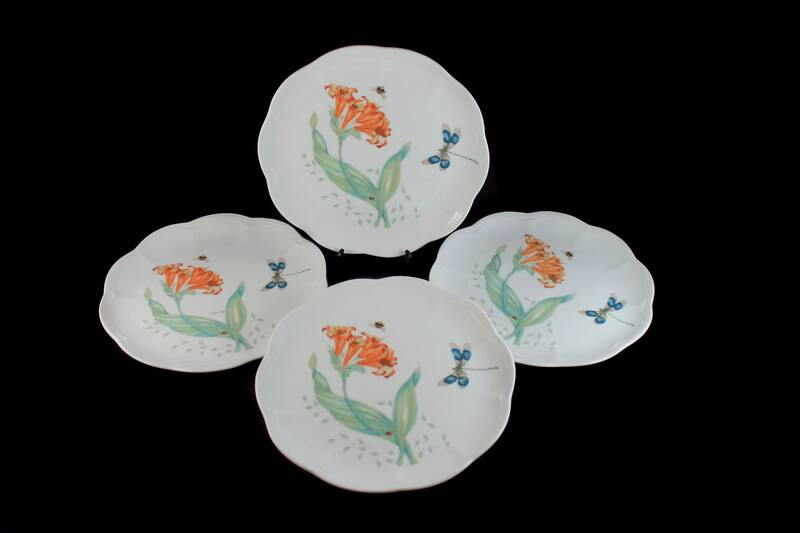 A wonderful gift idea, replacement pieces, or start of a new set. 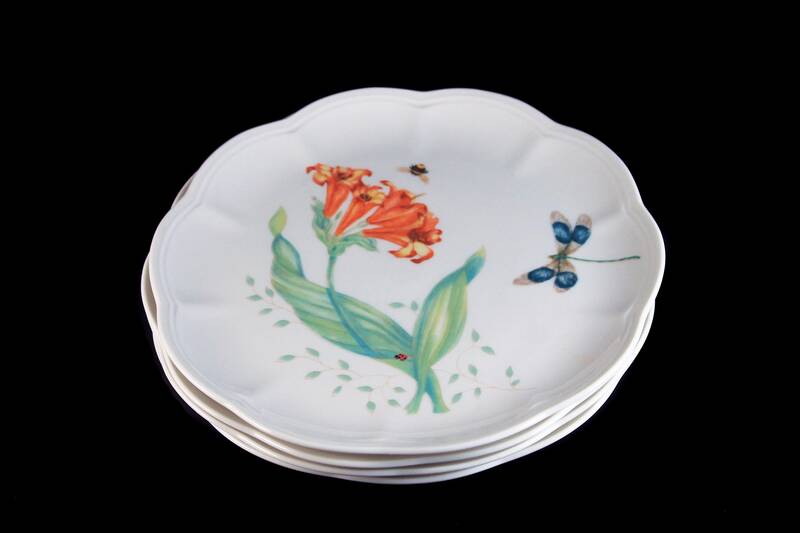 The plates are in great condition. 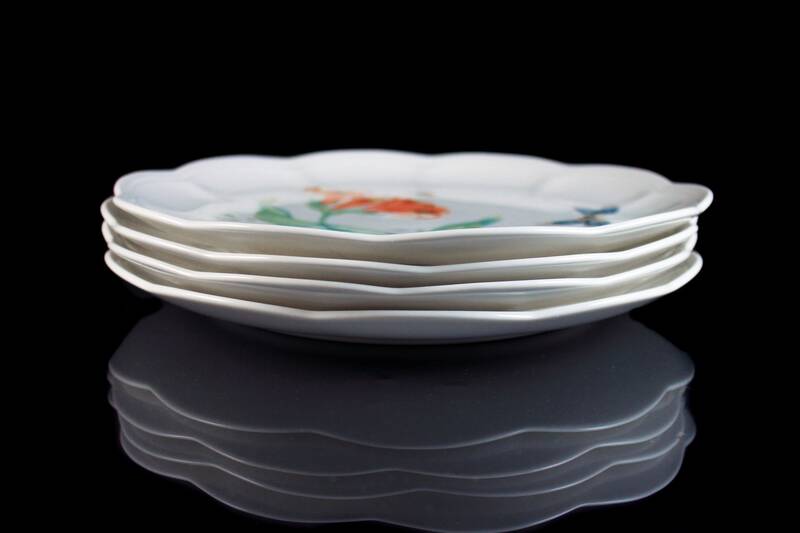 There are no chips cracks or crazing. 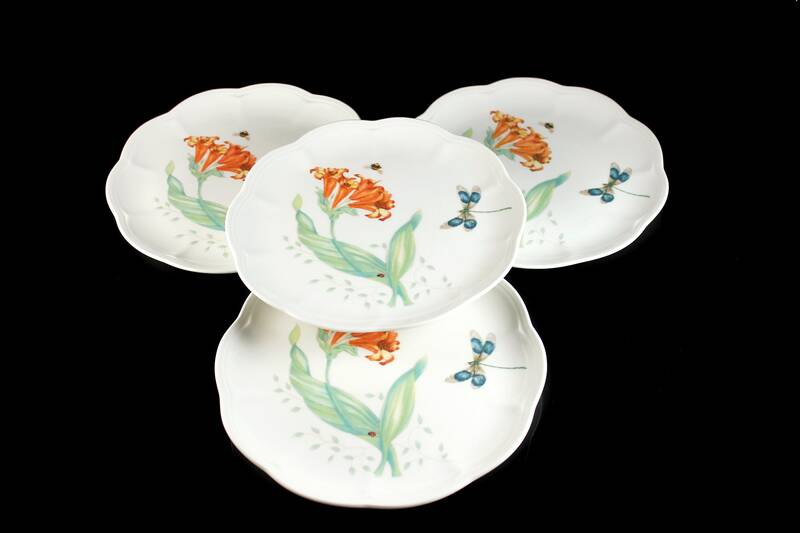 There is pronounced utensil marks on these plates and our price reflects this.